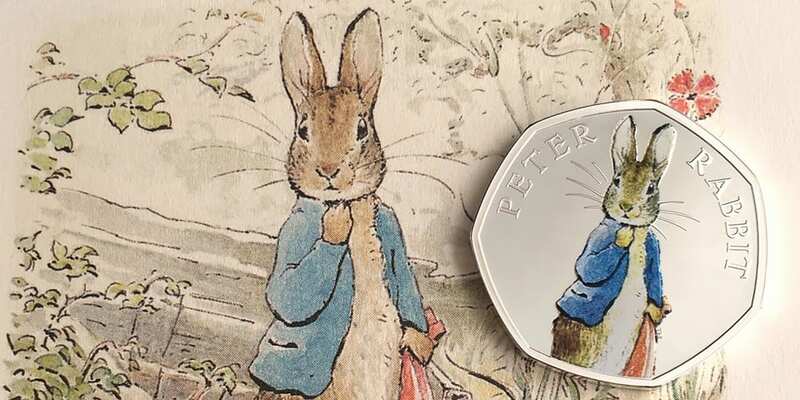 New Peter Rabbit 50p unveiled: how much is this rare coin worth? 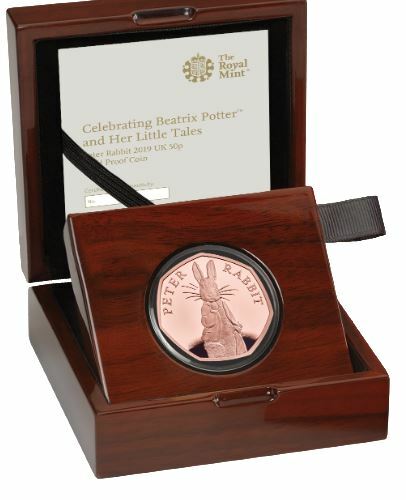 A new 50p coin featuring the much-loved children’s book character Peter Rabbit from the Beatrix Potter tales has been released by The Royal Mint. Peter Rabbit features on three brand-new designs, including a colour silver-proof version in his trademark blue jacket. The collectible coins are not being released into general circulation and have been selling out fast from the Royal Mint website this week. Which? explains how you can get hold of this collector’s item and how it compares to other rare coins. How can you get a Peter Rabbit 50p? The new coins have been available to order from the Royal Mint website since Tuesday in silver-proof, gold and uncirculated. On Friday, the gold-proof design worth £795 had sold out and 85% of the silver-proof versions, which were valued at £65, had been reserved. 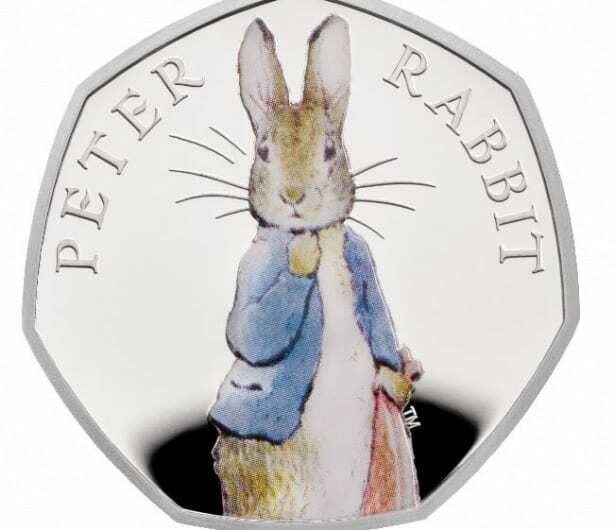 The silver-proof coin depicts Peter Rabbit in full colour in his iconic blue jacket and clutching a red handkerchief, but only 30,000 have been minted. There’s no mintage figures on the uncirculated coins which cost £10, and 500 of the gold-proof coins have been minted. Royal Mint released a series of Beatrix Potter 50p coins in 2016 to mark the 150th anniversary of the author’s first book. 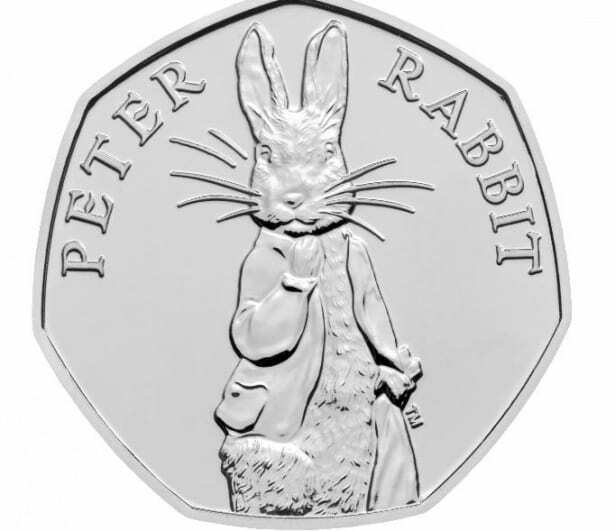 Peter Rabbit, her best-known character, has previously appeared in three other 50p designs, showing him eating carrots, running away and in close-up. Peter Rabbit’s popularity extends around the globe, thanks to 45 million copes being sold worldwide. The mischievous rabbit became hugely popular in Japan when the books were translated 40 years ago, and so demand from overseas collectors could be a factor in how valuable the coins become. Around 15,000 Japanese visitors are said to visit Beatrix Potter’s former home in the Lake District every year. The new coins are already popping up on eBay, where disappointed collectors are paying a premium for the sold-out designs. One gold-proof coin sold for £870 on Friday after 11 bids were received – even before the original purchaser had taken delivery of it from the Royal Mint. Always be cautious when buying online, especially when the seller cannot show you photos of the actual item. Previous Peter Rabbit designs have continued to be popular on eBay, and occasionally sell for surprising prices. A 2016 version of the silver-proof coin recently sold on eBay for £513 after 13 bids. That said, be wary of eBay listings at inflated or unrealistic prices, as well as fake listings. Unscrupulous sellers may place their own bids, or fake a sale at an exorbitant price, to make a coin seem more in demand than it is. What is the rarest 50p coin? At this stage, the new design is not being released into general circulation, but several of the Beatrix Potter 50ps have a chance of ending up in your small change. The Jemima Puddleduck 50p is one of the rarest coins in circulation, with a mintage of just 2.1m. Meanwhile, the Squirrel Nutkin design is also a collector’s item, with just 5m minted. That said, the 2009 Kew Gardens remains the rarest of all, with just 210,00 in circulation, followed by the Sir Isaac Newton 50p, of which just 1.8m were minted. You can see the full list in our graph below. This year the Royal Mint has also released coins celebrating the children literary monster The Gruffalo and a design honouring the life and work of professor Stephen Hawking. What makes a rare 50p coin more valuable? Generally, the number of coins in circulation determines the asking price, as a collector may be happy to pay more for a design that’s hard to find. The popularity of the design and theme can also influence its value, as well as the condition of the coin and whether it’s free from scratches or marks. Last year, Which? looked the dark side of the coin investment craze and the potential risks. You can find out more in our video about investing in coins.